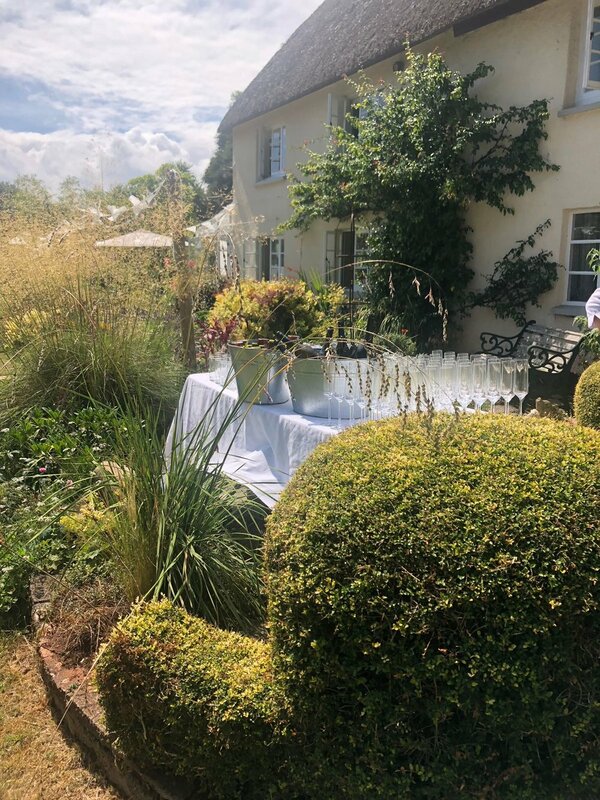 A beautiful traditional marquee setting was the venue for last weekend's wedding reception near Daccombe. 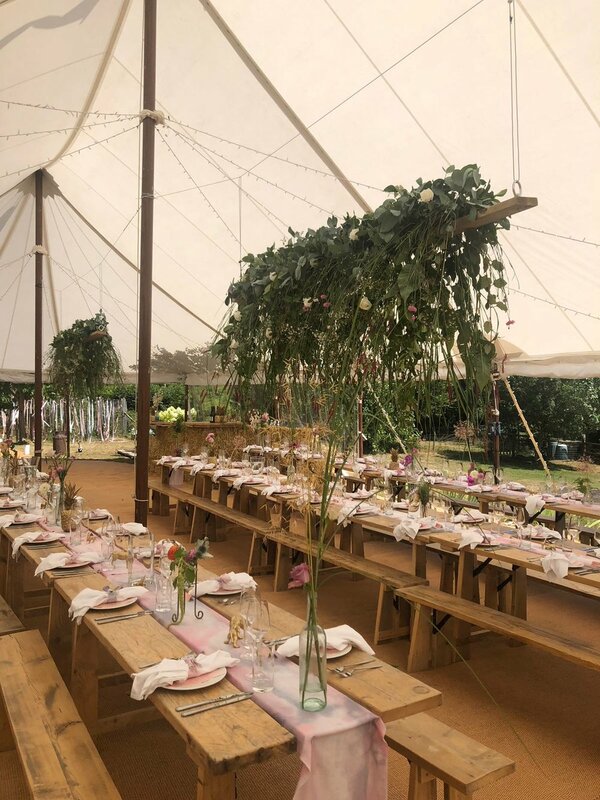 Rustic tables with benches ran the length of the marquee, off set with stunning hanging floral arrangements by the Brides mother. 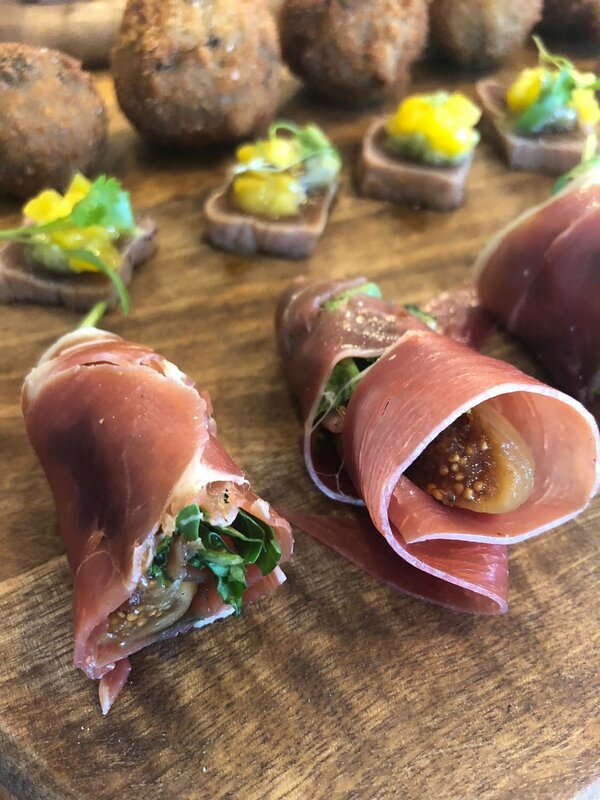 The wedding party enjoyed a selection of canapes followed by informal tapas style platters.